This case study takes a combined directed and discussion approach to explore risk factors for breast cancer. 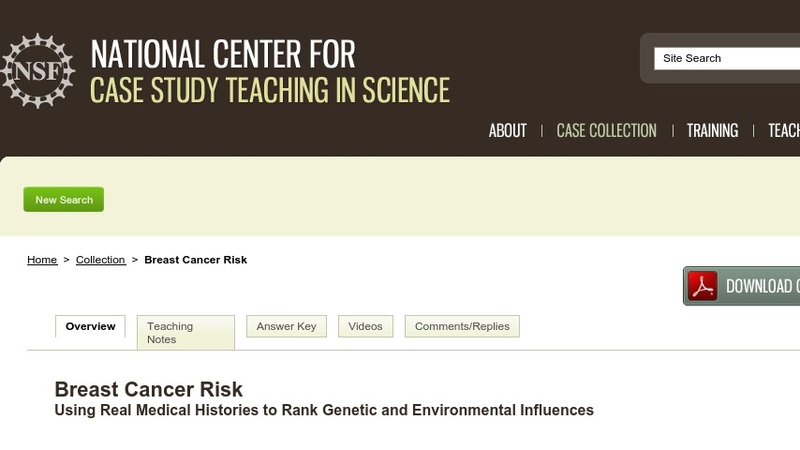 After a preparatory reading assignment, students assess various medical histories derived from actual women with breast cancer and rank their overall risk for breast cancer and make recommendations for risk reduction. The task is complicated by the different and often combined sources of risk (e.g., reproductive history, hormone replacement therapy and family history). Originally written for an introductory biology course, the case study could easily be adapted for upper division curses in genetics, physiology, or biochemistry to explore the biological and biochemical basis underlying various risk factors.